Midlife Magic: Becoming The Person You Are Inside! and also available for sale through my website! Please consider buying a copy! Just like the original PBS Brain Fitness program last December, this new one holds encyclopedic information on how our brain function ages and what we can do to decrease its gradual rate of decline. At the beginning of this 90-minute program, Peter Coyote (isn’t he delicious?) introduces the idea of harnessing the power of brain plasticity (the ability of our brain to change and adapt rapidly to its surrounding environment) even as our sensory abilities decline. One of the difficulties is that our brains trick us. They naturally compensate for gradual declines in vision, hearing, smell, and taste by filling in the parts we can no longer sense. The changes can be so subtle over time, that we may have no perception of what is happening. And the senses are our main way of perceiving the world and interacting with it. Sight is our most dominant sense. One concept they discussed was “useful field of view” which they defined as how much we can easily take in when we quickly scan our surroundings. When we do a scan like this, we take in large amounts of information, but our accuracy in how we process that information may decline with age. Our peripheral vision also degrades over time so that we may see less, but our brain simply fills in the parts our vision could not take in quickly. In other words we’re working with less and less information in forming our opinions about what is happening around us. We must constantly be aware of this decline in our field of vision and concentrate on the details of our surroundings, thus increasing our level of attention as we age. Keep what you have: With a good diet & exercise. It is also very important to protect your vision from UV light with excellent sunglasses! Be socially active: Continue to connect positively with others. 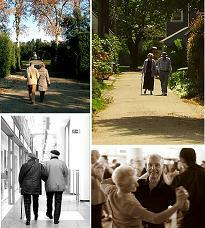 Learn and grow in your relationships throughout life. 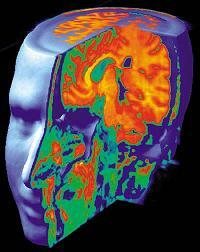 Maintain focus & attention: Strive to increase your cognitive abilities and field of vision. Pay closer attention to the details around you, and engage in new activities constantly. Utilize positive plasticity: Be ready to try something new, learn new skills and seek new challenges. Concentrate on expanding your neural networks! Don’t accept decline as inevitable. Be aggressive about maintaining your quality of life. Don’t go down without a fight or settle for less! The thing is, in the whole history of humankind, we must appreciate that this is the best time to be facing the difficulties of aging. We learn more with each generation! They did mention Baby Boomers as the generation who is the least accepting of “natural decline.” We’re fighting it to the end!!! I’ve been enjoying the Olympics lately, but not as much as I used to. I think in the past I could enjoy them more because, on some fantasy level, I still imagined that “I could have been a contender.” Not that I was ever in Olympic shape, but I felt pretty strong and healthy in general. Now, for the first time, I’m forced to admit I will most certainly never be anywhere near that kind of shape. The years and menopause have taken their toll, not to mention my latest face plant off my bike. And recovery is sure slow at age 53! But I still admire the Olympians’ single mindedness, especially the older ones! I was excited to see a 37 year old woman win a marathon, a 33 year old win a gymnastics medal (Germany) and a 41 year old American swimmer win a silver medal and compete in a relay where the US team also won a medal. We all know it ain’t as easy when you’re past 35 or 40! We’re so used to thinking that the best athletes are in their teens or 20s. I’m very glad that these women and their great stories are getting mainstream media coverage! On the other hand, what does this say about me? It says that I am a fairly typical midlife woman with too many pounds around my middle and flappy underarms. This is not new information, but the Olympics seems to remind me of it daily. And there’s the midlife rub. Can we accept the changes in our minds and bodies as we age? Is that even a good thing, or should we try to “stay in shape”? That is why self-acceptance and compassion are life skills we must brush up on in midlife. It all seemed so much easier in our earlier days to be both self-critical and critical of others. “Why don’t they take better care of themselves?” But our bodies become so much less forgiving of those extra calories as we age. Perhaps there is some justice in aging. We all may finally see and have to acknowledge the slow downfall of all of our high ideals around our bodies. Arrogance goes out the window when we see that we too will lose the youthful body we were once so proud of. What are we proud of now? I like to think I am proud of the wisdom I have gained through all of life’s challenges. I now know what I know and I know what I don’t know, and I’m not arrogant about any of it! I’m just another woman in midlife trying to treat everybody fairly and without much judgment, especially myself! You have to understand that at the very beginning of our relationship, my future husband had insisted that I get rid of my two cats, cats that I had loved for over seven years. Back then, I was faced with the choice between a new man in my life (future unknown), and my relationship with my two old buddies. Obviously, I made the wrong choice back in ’92. This time it was a no brainer. I knew I could live without the constant criticism from my husband, but not without the dependable love and support of my shelties. And they were so key to my ability to move on after divorce. The many hours I spent walking them in all kinds of weather along the river while contemplating my past, present and future, stands out now as such an essential element in my own healing process. Luckily, my ex and I were able to work out a kind of shared custody for the dogs that worked for all of us. We have now shared them longer than we were married, and the sad truth is they are now geriatric puppies. It is so tough to watch them go blind and/or deaf with arthritis all around. They need help to do just about anything now, and I’m not dealing with it well. Where did my cuddly little puppies go? I used to joke about how it was so much better to have puppies rather than kids because when they turn into teenagers they die. 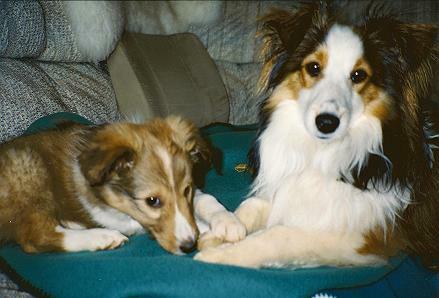 My older sheltie is 13 today and I only wish she could be young again and live forever! A recent study in the Annals of Behavioral Medicine found that a troubled relationship is worse for you than remaining single. Spouses who reported a lot of negative encounters with their partners had blood pressure that was on average 5 points higher than that of single people. The emotional stress of a difficult marriage typically causes adrenaline levels in the blood to spike, raising blood pressure. Worse, spouses who keep their feelings to themselves during arguments with their partners have a four times greater risk of dying early than those who do not, according to findings reported in the journal Psychosomatic Medicine. So, what to do if your marriage is perhaps not exactly benefiting your health at present? Only you can decide how beneficial or detrimental your marriage is to your physical, mental and spiritual health. The first thing to do is be completely honest with yourself. Don’t lie. This is possibly something you’ve been doing for years. Does the idea of living alone with no one else to tell you what to do or how to do it, feel liberating or scary? Can you see yourself married to this person forever? How does that feel inside? If you feel pretty good about your marriage, or just mildly tired of certain aspects, try to diversify your life a bit. Perhaps try to add more exercise to your routine. Exercise is a wonderful stress reducer. Try taking full responsibility for reducing your own anxiety level instead of blaming others in your life. This can be a self-empowering experience! Another solution to consider is to diversify your social support system. Concentrate on seeing friends outside of your family, or making new friends through pursuing new activities. Try to acquire the heart-protective benefits of good relationships outside of your marriage. You are very lucky if your marriage builds up your self-esteem on a regular basis, and helps you love yourself even more. If not, consider ways that you can do this for yourself. Life is a do it yourself job! My husband Mike and I are spending our vacations these days, exploring possible destinations to retire to, just in case we can ever afford it! The past few days were spent on a road trip through northeastern New Mexico. 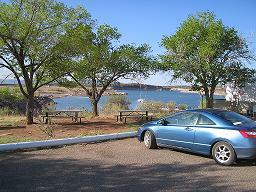 This time Mike was drawn to a series of lakes north of Tucumcari, NM: Ute Lake, Conchas Lake and Santa Rosa Lake. These are all state parks with nice facilities and beautiful but ever shrinking reservoirs as the drought continues down there. We spent two nights camping at Conchas Lake. In the perfect silence of a star-filled New Mexican night, I lie in my sleeping bag, contemplating the wonders of our universe. Yes, there are still places in America where one can marvel at the brilliant stars above, while getting lost in the silence of the wilderness around you. The animal sounds serve to remind me that there was a time when we were simply prey to the many predators around us. We weren’t high-minded beings that thought that we had taken possession of the earth, but were instead just meat to any hungry predator nearby. The homophonic nature of the Indian word “Conchas” and our word “conscious” were not lost on us. Mike’s Ojibwa family heritage may have been at play. We came to explore this land and also our own “conscious” minds, to learn about the ancient ones that inhabited this land before us, to understand on a deeper level, the history of this earth. 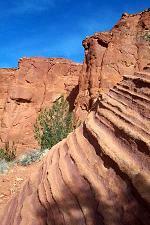 After Conchas Lake, we headed northwest to the Jemez Pueblo area. I rarely use the word “awesome”, but I can’t imagine a better word to describe the deep red canyons of the Jemez mountains. They are a unique and wonderful vision to behold!